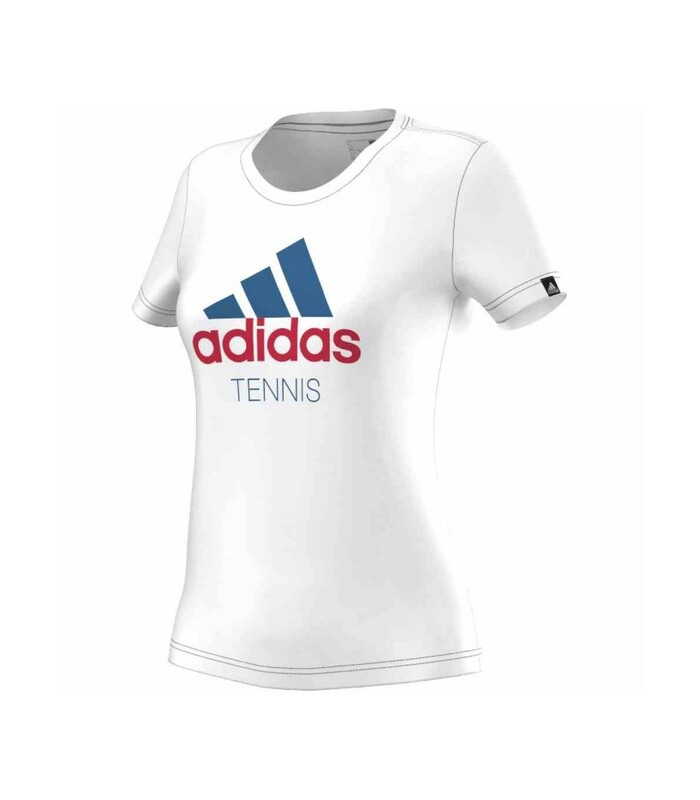 The Adidas Tennis squash t-shirt for women will please you with its style and its comfort. Its Climacool technology gives you a nice feeling of freshness while keeping you dry. With its cut, its colors and its design, the Adidas Tennis squash t-shirt for women gives you a sporty and modern look. This squash t-shirt for women is a technological jewel with its Climacool technology that gives you an optimal comfort by allowing your body to breathe, stay dry and by evacuating very quickly your perspiration. The climacool technology of the Adidas Tennis squash t-shirt improves greatly your comfort and therefore your performance. It is an indispensable ally that is especially appreciated during intense squash games. This high quality squash cotton women t-shirt is very comfortable to wear. Its aesthetics will please you for sure. Its modernity and its climacool technology will make the difference and will highlight your game and your performance on the squash court.